Editor’s Note: Before reading this review, we highly recommend checking out our review for Episode One: The Order of the Stone and Episode 2: Assembly Required as there are spoilers ahead. 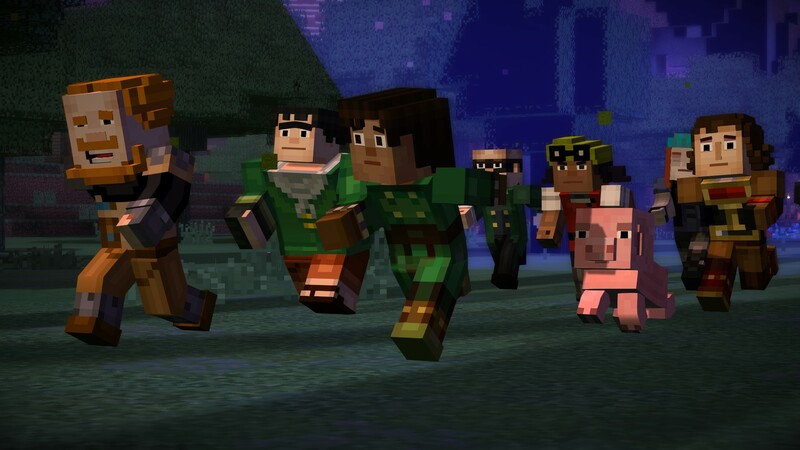 The hype for Minecraft: Story Mode has begun to die down, especially with the release of the second episode. There just wasn’t enough about the episode to keep anyone interested and because of that, it was difficult to anticipate the release of episode three. With the third episode finally out, it’s clear that episode two was just a fluke. The Last Place You Look mixes emotional drama and action together in a single episode that spans about an hour and a half. The episode begins exactly where the previous left off, with Jessie, his friends and two members of the Order of the Stone setting off to find the legendary architect, Soren. Having gone through an End Portal, your only hope of finding Soren is to do just that, look around and hope for the best. Finding him proves to be difficult as you have to pass through several obstacles and trap rooms to get even an idea of how to find him. Though these obstacles make the game that much longer, they’re also what makes it more fun. There are several points in the game that are just QTE (quick time events) and that’s partially what it was that made the first episode so fun. You always have to keep on your toes in order to avoid damage from a zombie or spider or keep from falling off of a platform. Because of this, there are also a lot of points where you have to make quick decisions. Do you save your falling amulet or do you fight alongside your friends? Do you give Reuben a high five or do you ignore him? Some of these choices don’t really affect the game while others begin changing how the characters interact with one another. Some choices even affect the turning point of the episode and decide who will be moving on to the next. There are a lot of plot twists and a lot of emotional moments that make this episode feel as though it was geared towards an older generation of Minecraft players while still adhering its intended audience of families and kids. The entire purpose of this episode is to find Soren and build his Formidi-Bomb and stop the Witherstorm from attacking the rest of the world. With Petra sick and trying to hide it from the others, Jessie and his friends find themselves stuck between a rock and a hard place. Eventually, Petra tells Jessie about her sickness but Lukas is no fool and notices something terribly wrong with her. He doesn’t say anything about it though and tries to focus on their goal. Petra only looks to be getting worse and eventually and you are eventually given the option to either tell the others about what’s going on or continue to keep it a secret. It’s kind of a hard decision, right? The decisions begin to get more frequent and begin to ask which one of the two things you are choosing from is most important. You’re sometimes left with a ‘what if’ feeling as you progress but trying to find out what happens next is a feeling that easily trumps the former. The episode brings to light again the ability to thoroughly explore your surroundings. You are given the opportunity to explore several of the rooms in Soren’s stronghold as well as solve short puzzles in order to proceed, something that previous episodes lacked in a bit. No room feels as though it is just there to be there as there is always something new to unveil or someone with a new dialogue. I’m almost positive that I would have missed several key elements of the story had I chosen to just move on instead of talk to someone or look at something in almost every room. The episode stresses exploration and makes sure to let you know that you will either be missing out or will have to go back if you ignore it. In the midst of all the exploration, there are also more dialogue options and more things to interact with that opens up lore that players of the base game would understand. 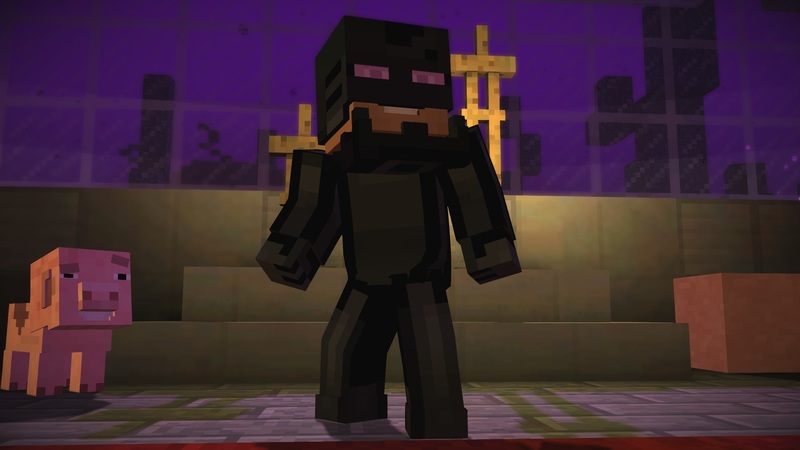 The characters make jokes and puns towards different aspects of Minecraft that balance out the emotions of the events going on around them and makes for a generally fun-to-play episode. Minecraft: Story Mode – Episode 3 is a mixture of humor and emotion, but never loses itself as being an addition to the original game. It’s littered with crucial story elements and plot twists that easily makes this the best episode in the series yet. The episode, depending on your decisions in previous episodes, ends with a cliffhanger that makes you hungry for the next. It’s as though Telltale got every gameplay and story element from the previous two episodes and solely focused on that. 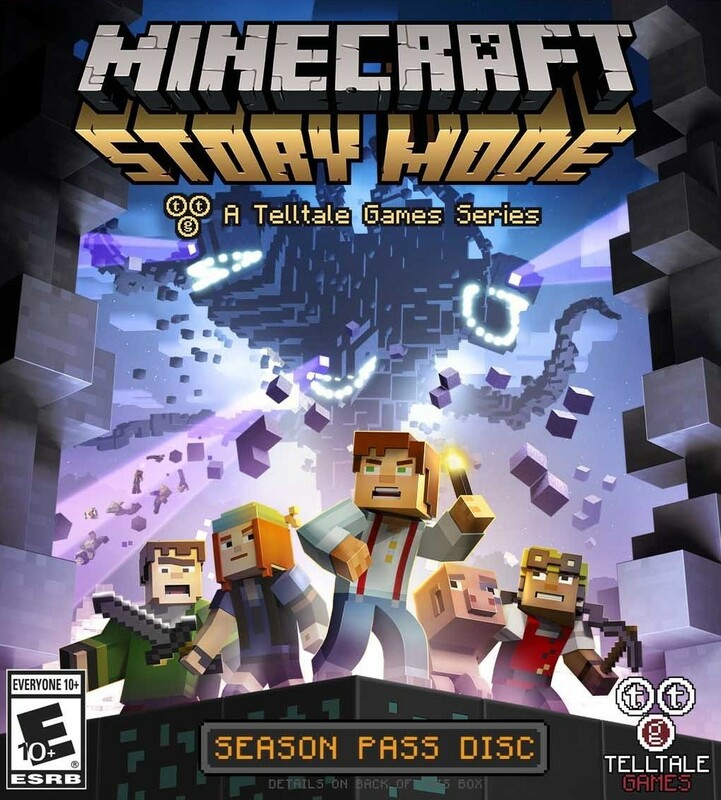 An emotional and humorous roller coaster, The Last Place You Look puts Minecraft: Story Mode in the right direction for future episodes and gives players something to look forward to in the world of Minecraft.